Last summer, I was one of 36 students to take part in the UC Centre for Entrepreneurship (UCE) Summer Startup Programme. It was a full-on but totally inspiring 10 weeks. For me, it was all about giving it a shot and trying something different. Applications for the programme are welcome whether or not you have an idea for a business or social enterprise. Over the 10 week programme you are guided through the stages of bringing a business or social enterprise to life. Some people (including me) had just an idea at the start of the programme, while others already had a fully fledged business or social enterprise, and used the programme to gain further help and expertise. An example of students and their businesses on the programme included; a student developing the idea of a technology based virtual reality system for health and safety in the workplace. While other students were more focussed on the concept of a social enterprise and had businesses ranging from a successful public art exhibition project to one that creates fair-trade and ethical street wear (Mallu). Other ideas were by students who had really successful home storage systems (Tom from Pegboard Co. and Laura from Rad Home). It was really fun to be in such a diverse environment with people who were so passionate about their ideas! 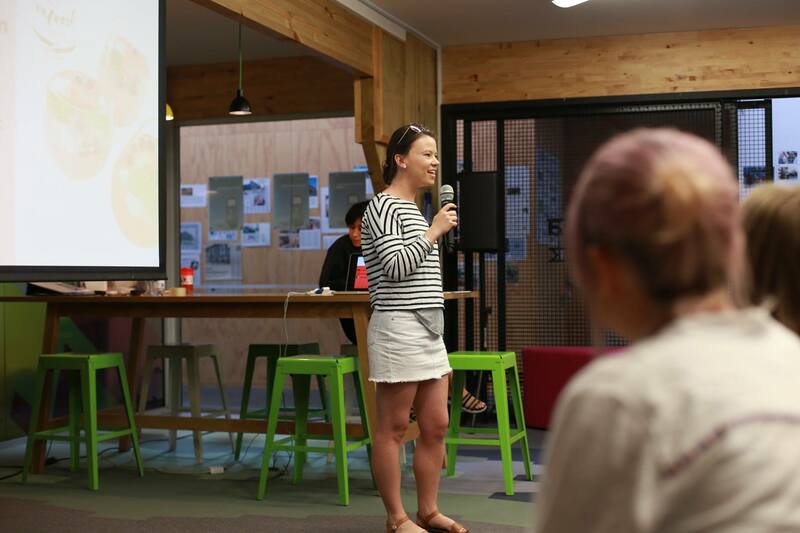 Working at UCE over the summer and having that time solely focussed on a business idea was key – not to mention all the support from UCE. Each week has a different focus that is applied to your business/social enterprise, from intellectual property to marketing to investment – you name it, it was covered! A highlight for me was the countless speakers (almost everyday) who gave presentations on their own entrepreneurial journey and businesses. Think serial entrepreneurs, at the top of their field from all over New Zealand. Mentorship is another big focus of the programme. We had numerous ‘speed networking’ sessions with those in the business/entrepreneurial/social enterprise scene in Christchurch who helped to validate and give feedback on our work. Moreover, we were able to really capitalise on the connections and mentors provided by UCE. The unique learnings from the programme, business connections, chance to meet new people in an inspiring environment and a $5k scholarship are all worth it – you are basically paid to give your entrepreneurial streak a chance over the summer! I’d highly recommend you apply! 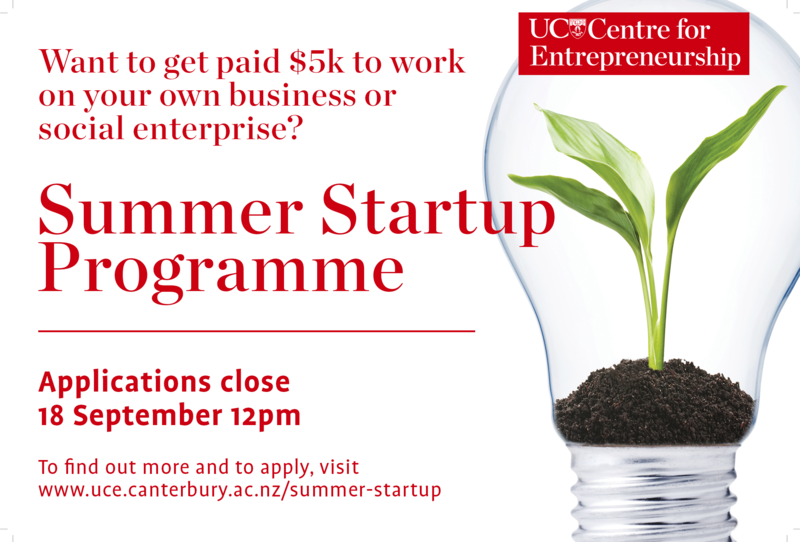 More information about the Summer Startup Programme can be found here. Applications close 12pm, Monday 18 September – apply now!